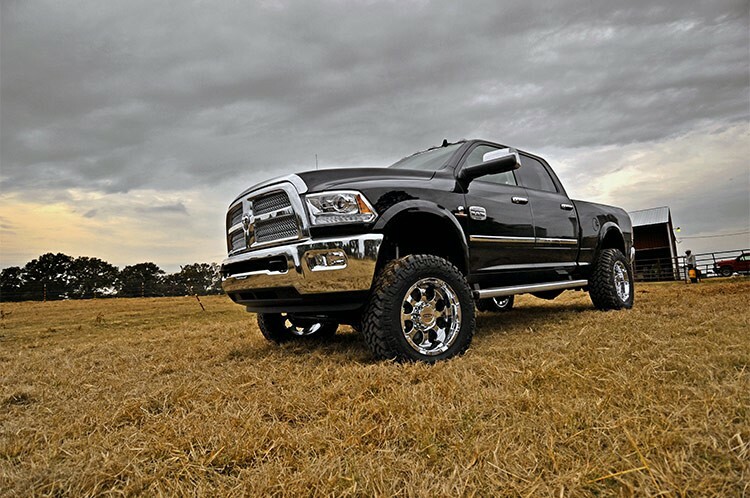 Compliment your RAM 2500's aggressive, good looks with Rough Country's new 5-inch Lift Kit. New model RAM Trucks come with a wealth of impressive features right from the factory. Rough Country's new 5-inch kit was engineered to retain these impressive factory specs while bumping up performance and durability where it's needed most. The result is an aggressive, lifted beast with an mean profile and lush ride-quality that'll make other RAM owners wonder where you got yours from! When changing a vehicle's suspension, the key to preserving ride quality is in keeping the geometry of all suspension components as close to their factory angles as possible. 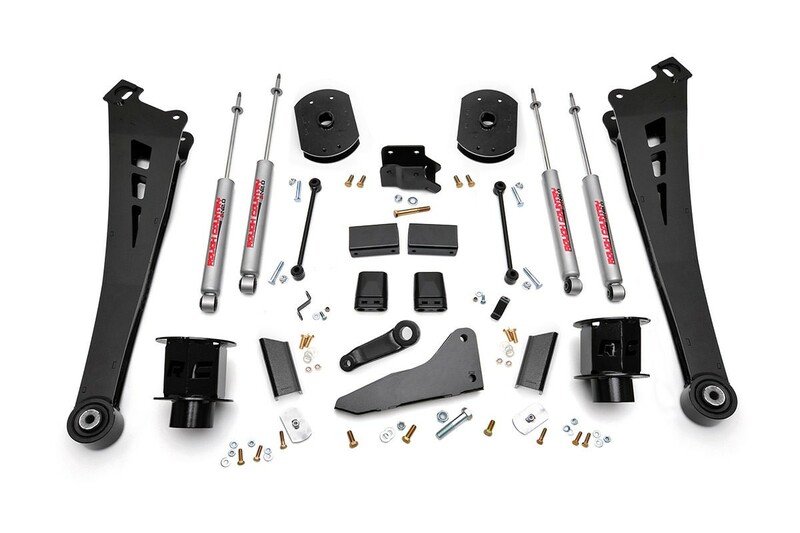 Rough Country's new 5-inch Suspension kit features a set of ultra-durable Radius Arms, precision fit to bolt right into the factory mounts for an easier install and a more factory-like angle. These beefy, upgraded Radius Arms also feature a durable, Clevite Rubber Bushing for maximum vibration absorption. In a further effort to preserve the truck's factory ride, this kit retains the factory progressive rate coil spring -- designed by Dodge specifically for the weight and ride quality of these new model trucks. Requires minor drilling and cutting.